At Buckingham Palace, it is Charlie Time — a time to celebrate all things Carolinian and royal. Alas, I do not include our own quivering heir apparent in these regal festivities, as he falls, a tad cruelly, outside their scope. It is not Charles, Prince of Wales in whose glow we are being encouraged now to bathe, but his superb baroque predecessors, the Stuart Charlies, numbers I and II, each of whom has become the subject of an ambitious gallery examination. For Charles I we will have to wait, as his treasure-packed commemoration arrives at the Royal Academy in January. But, happily, Charles II has beaten him to it with a sumptuous apologia that opened last week at the Queen’s Gallery. Both the Stuart Charlies, father and son, had the misfortune to reign in eras freighted with a rare tonnage of national botheration. The first Charles paid the ultimate price for his royalty when he had his head cut off by the Cromwellians in 1649. But as the son of a murdered sovereign, born into an epoch of calamitous religious tension, Charles II, it could be argued, ruled from an even hotter seat when he ascended to the throne in 1660. 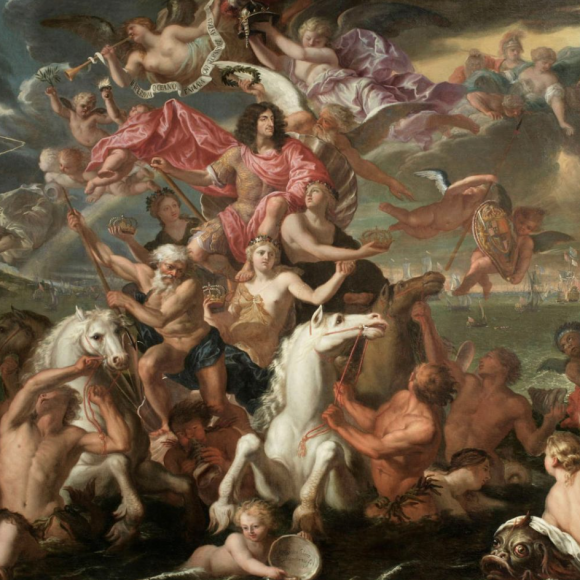 The Queen’s Gallery show, devoted to the remarkably successful reign that followed, is not the kind of event that prompts us to understand the psychological burden assumed by Charles II when he became king. It’s a collection of treasures, not a selection of insights. But I am bound by no such protocol. And my advice to visitors to this shiny exhibition is to enter it armed with an active awareness of what Charles II had to face. The nation had murdered his father. Now this same nation was welcoming him as king. You and I would have cowered behind a sofa in Versailles, right? But Charles II was made of stronger and more intriguing stuff. The first painting we encounter is actually a portrait of his father, painted a few days before his execution by Edward Bower, that most plebeian of English portraitists. Bower had Cromwellian sympathies that were rare in British art at the time, and the Charles he gives us has the modest presence of a Casterbridge mayor, rather than a Whitehall monarch. In a tall black hat and a black cloak, the doomed king gazes thoughtfully out at us from an unusually gentle royal portrait. As the Queen’s Gallery is an annexe of Buckingham Palace, it is no surprise to find Cromwell himself, a couple of pictures along, being aesthetically beaten up in an engraving by Pierre Lombart in which the Protector of the nation rides showily towards us on a mighty white steed. The composition looks familiar because it is a straight steal from Van Dyck’s great equestrian portrait of Charles I, soon to be displayed at the Royal Academy. Lombart has merely swapped Charles’s head for Cromwell’s. The adjacent caption reminds us that at Hampton Court, Cromwell insisted on being addressed as “Your Highness”. These sly contrasts are, of course, smart Buckingham Palace propaganda. But they help also to answer the fundamental question posed by this show: how in Nell Gwyn’s name was the second Charles able to waltz back into monarchy as if nothing had happened? The Mugabe-like transformation of Cromwell into a haughty monarch must have been one factor. Huge national guilt must have been another. A sense of religious transgression — of mortal sin — would have been a third. But these partial answers are trumped by the most salient of all the show’s revelations: that Charles II was a brilliant operator who played his moves like a chess grandmaster. And the weapon he used most successfully was art. Having buttered us up with Bowers’s poignant Charles I, the show explodes into attack mode with a display case filled with Charles II’s coronation trinkets. This was what was on the altar at Westminster Abbey on April 23, 1661, when England regained its monarch. At the centre was a magnificent basin roughly the size of a small dancefloor. On either side were two giant gilt candlesticks, Shard-like in heft and presence. The chalice was fashioned from half a mountain of Guinean gold. The paten was made from the other half. And held aloft by the sergeant-trumpeter was a mace so substantial that the raising of it might have earned you a weightlifting medal at the London Olympics. This superb bling, specially commissioned for the coronation, featured conspicuously in the most showy royal debut since the accession of Elizabeth I. What Charles II appears instinctively to have grasped — his masterstroke — was that his subjects were once again hungry for a kingly king. The last thing they desired was a continuance of Cromwellian austerity. The people love cakes. It’s a royal lesson the British monarchy has never forgotten. The religious argument between Catholicism and Protestantism was another key issue. You have merely to glance at the fiercely popish Last Supper at the centre of the dancefloor-sized coronation basin to sense immediately that Charles was a covert Catholic of some variety. The sense of divine destiny that underlay his monarchy is brought home most vividly by the evidence gathered here of a royal ceremony known as “touching for the King’s Evil”, in which the ill and suffering were brought before the king to be touched by him and healed. So popular was the ceremony that special admission tokens needed to be issued to limit the crowds. Tens of thousands of sufferers a year pushed into the Banqueting House, in Whitehall, to be touched by the Christ-like Charles II. And the nation wasn’t only hungry for miracles. It also demanded appropriate amounts of pomp and grandeur. The extravagance of Charles I is usually presented as an important cause of his downfall, but when his son displayed the same tendencies, the nation welcomed them as a sign of office. Where Charles I lavished the national resources on art, Charles II was initially extravagant as a builder. He extended Whitehall. He extended Holyroodhouse, in Edinburgh. He redug Hampton Court. He built a palace in Winchester. But his greatest achievement as a builder was the refashioning of Windsor Castle, which he transformed from a medieval fortress into a sumptuous baroque palace with a suite of royal apartments, decorated with 20 ceiling frescoes by the cocky Italian Antonio Verrio. Only three of the great ceilings remain — the rest were swept aside by a fatal combination of saltpetre and George IV. But a set of contemporary watercolours by Charles Wild shows them to have been fabulously lofty and sumptuous. What a loss. Soon after his accession, Charles also issued a state order for the return to the Royal Collection of all the art Cromwell had so crassly sold off. It supplies this journey with many of its highlights. 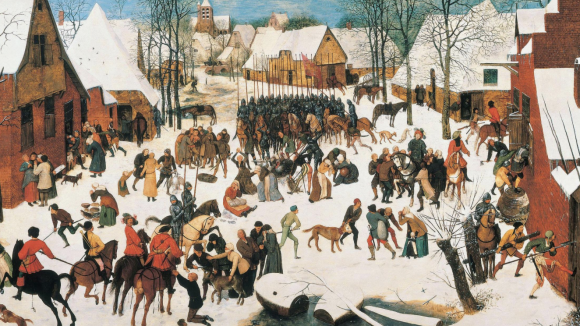 Chief among them are the infamous Bruegel that began life as a Massacre of the Innocents, but from which the dead babies were subsequently redacted, turning it into a cheery scene of village life; and Lorenzo Lotto’s hugely influential portrait of the collector Andrea Odoni. The dark alcoves that so frequently hold the best surprises at the Queen’s Gallery are filled this time with superb drawings by Holbein and Leonardo. Charles was also a busy commissioner of art from his own times. A set of striking full-lengths by John Michael Wright and Godfrey Kneller feature the finest actors in an epoch when the theatre was thoroughly and actively revived. 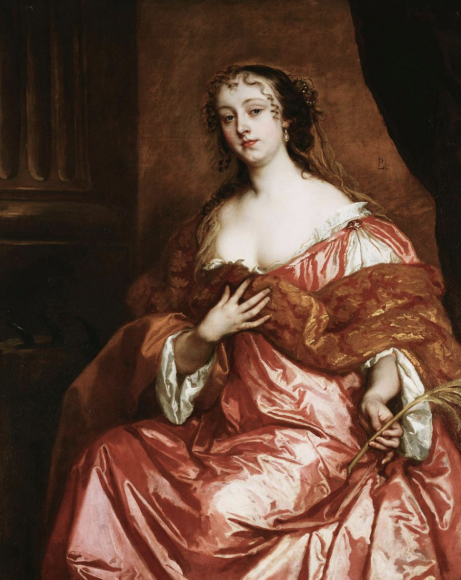 The king’s favourite painter, Sir Peter Lely, was employed nonstop, recording the court beauties with whom the lascivious Charlie was keen to surround himself — though Nell Gwyn is a notable absentee. The most celebrated Carolinian mistress may have played a prominent role in the royal bedroom, but she seems never to have been allowed into the Royal Collection. It’s a loss. But one that this uplifting display happily survives, as it celebrates a king who brought gaiety back to his nation.